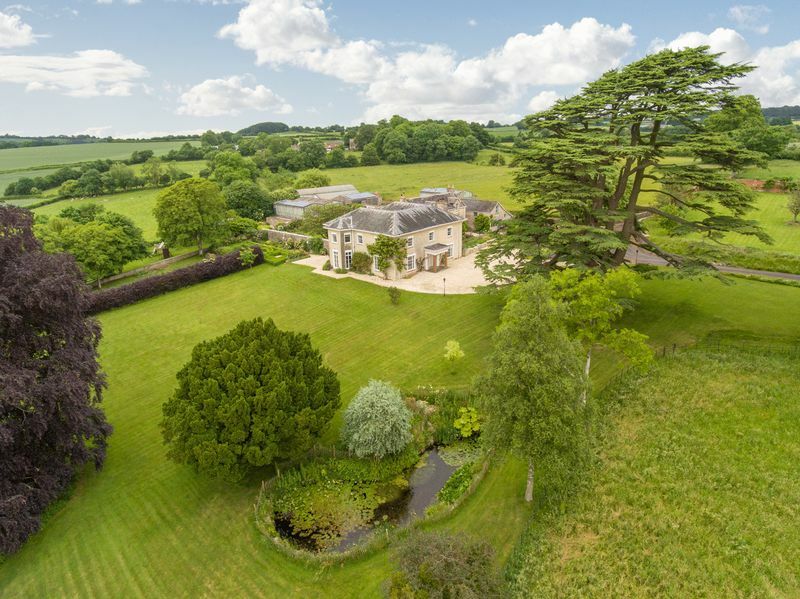 Pitney house is a truly glorious example of a superb Georgian mansion set in stunning parkland in the heart of Somerset. 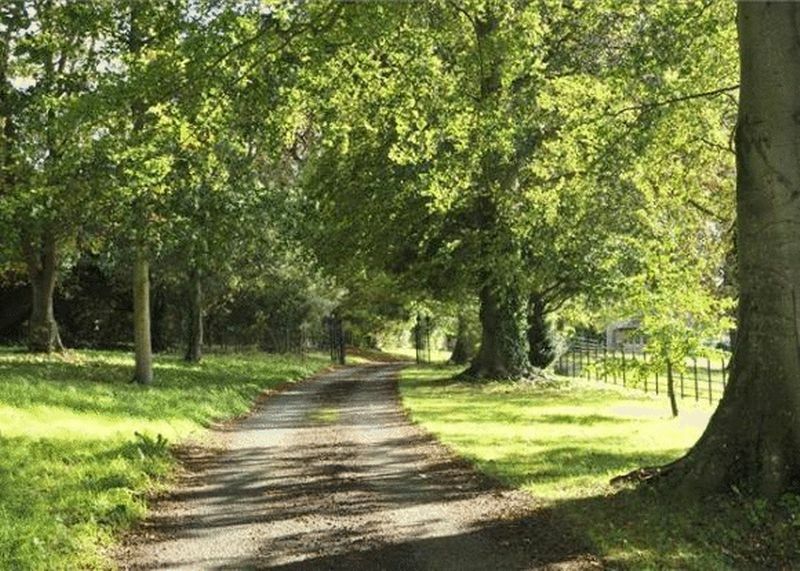 Situated in one of the county's most picturesque villages, it offers complete privacy and stands at the end of a long driveway that winds its way under a canopy of spectacular mature trees to the entrance of the house. Over the years and as the pre-eminent house in the area, it has played a central role in village life, hosting events as diverse as cricket matches and fetes to mini operas and school outings. 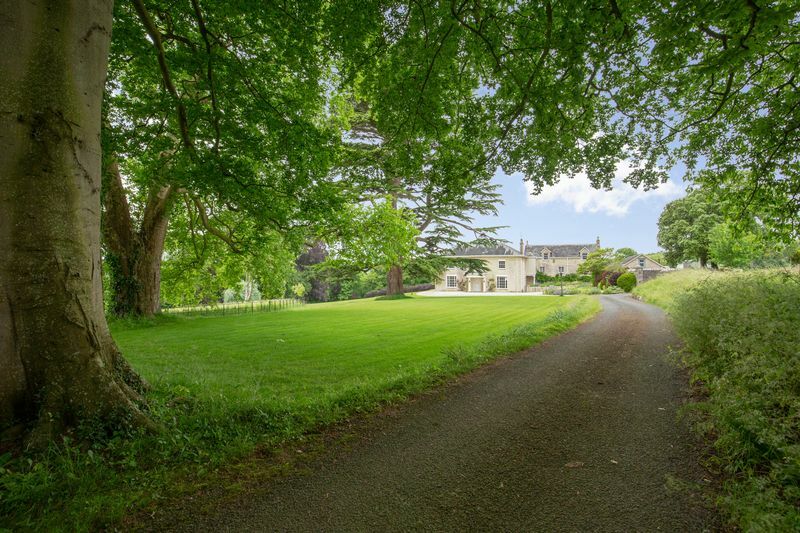 Whilst primarily a magnificent home, the estate's extensive outbuildings and farm facilities also allow for a wide range of potential commercial ventures and equestrian activities. 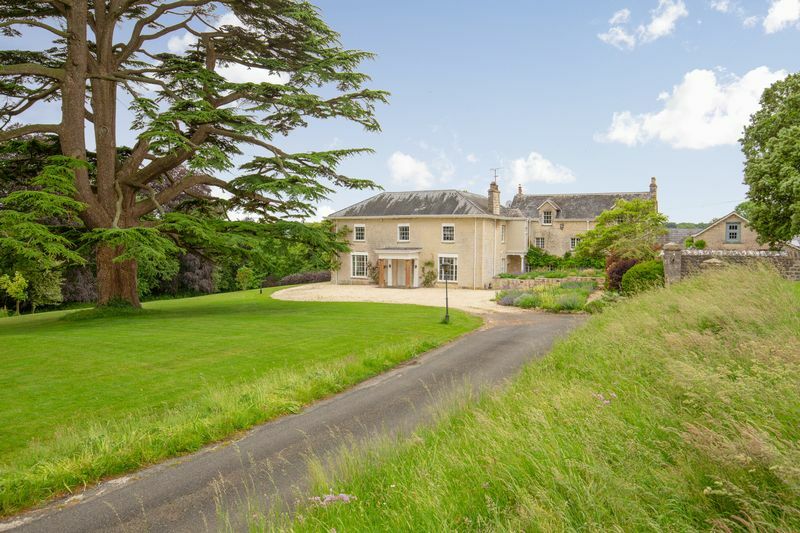 The approach to this property is beautiful; running through electronically operated gates, the drive opens onto a gravelled area at the front of the house, overlooked by a magnificent and aged cedar tree. The front door is housed behind some original shutters and sits beneath a pillared porch. 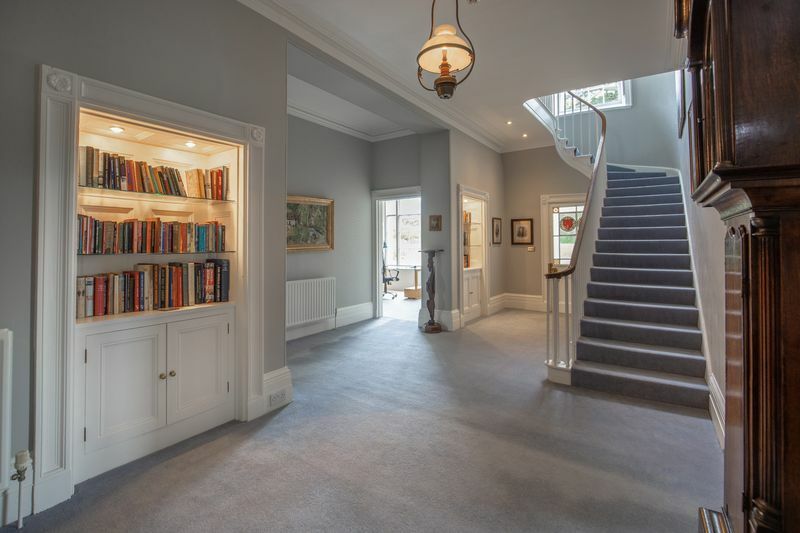 The front hall is grand and features an elegant staircase that leads to the first floor. 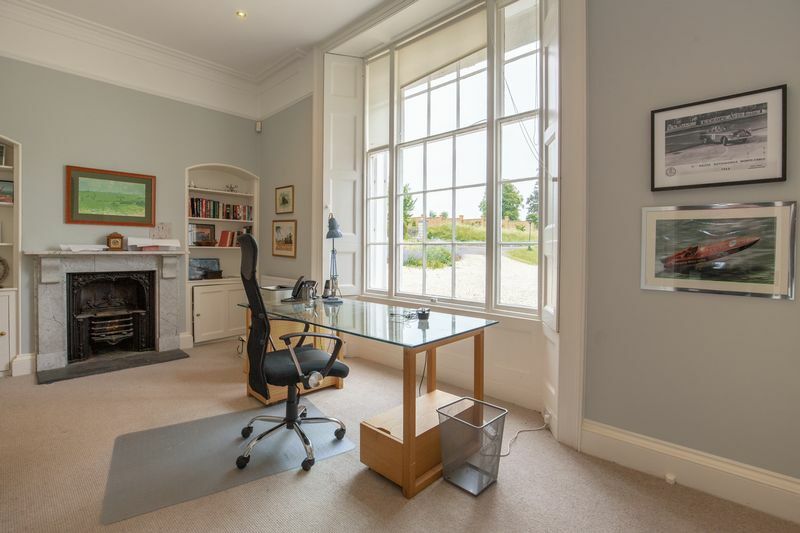 Off the hall are three of the main reception rooms; the drawing room, the dining room and the study. 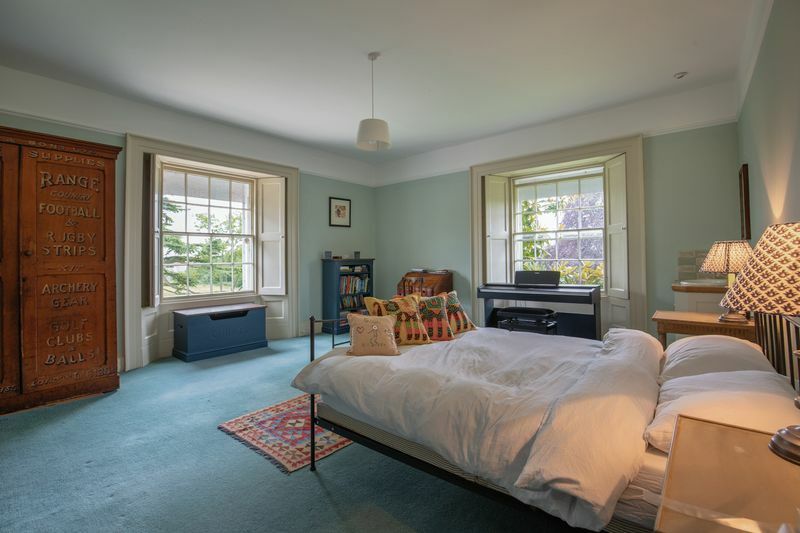 All three rooms are beautifully proportioned with typically high ceilings, original fireplaces, ornate cornicing and the most spectacular shuttered Georgian windows that allow reams of natural light into the space. 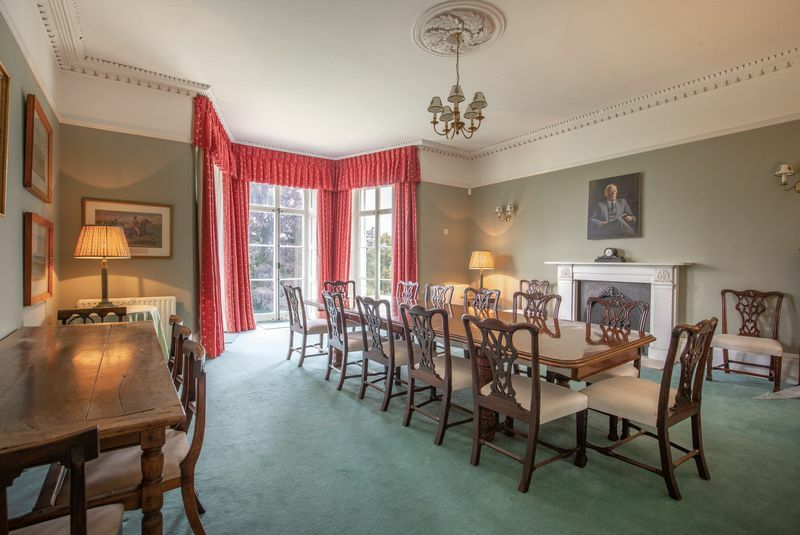 These luxurious rooms are ideal for family living and also offer the opportunity to entertain in style! 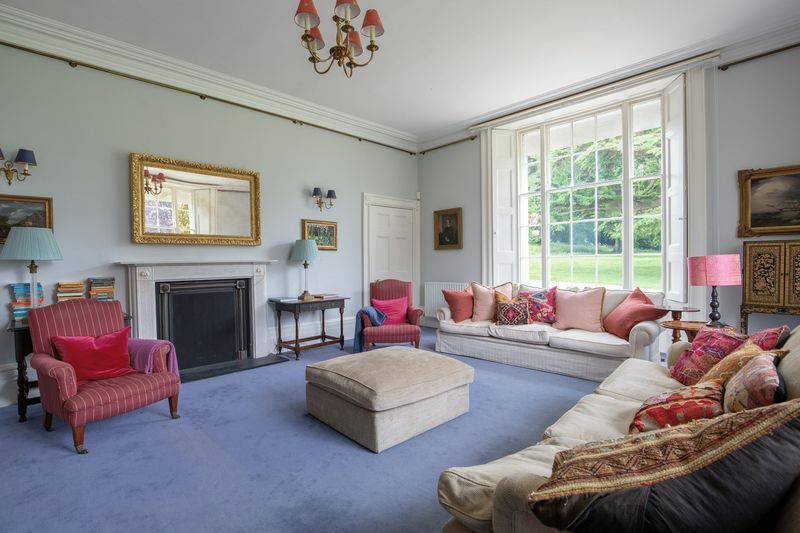 The main hall leads to an inner hall with a warm limestone floor and to a more informal, but very comfortable family sitting room, again with spectacular double height glazed doors that lead to the garden beyond. 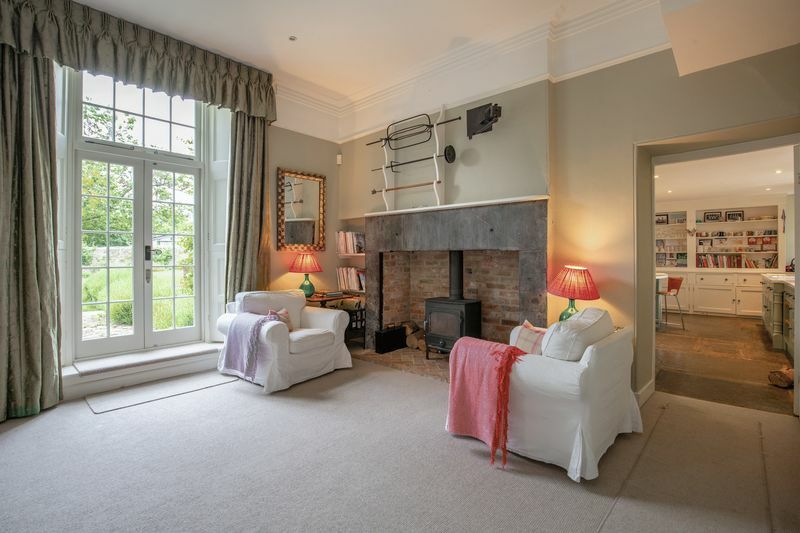 A line of servants bells and two cast iron ovens hint at a rich history while a wood burner warms the room from a recessed red brick fireplace. Off the hall is a cloakroom. 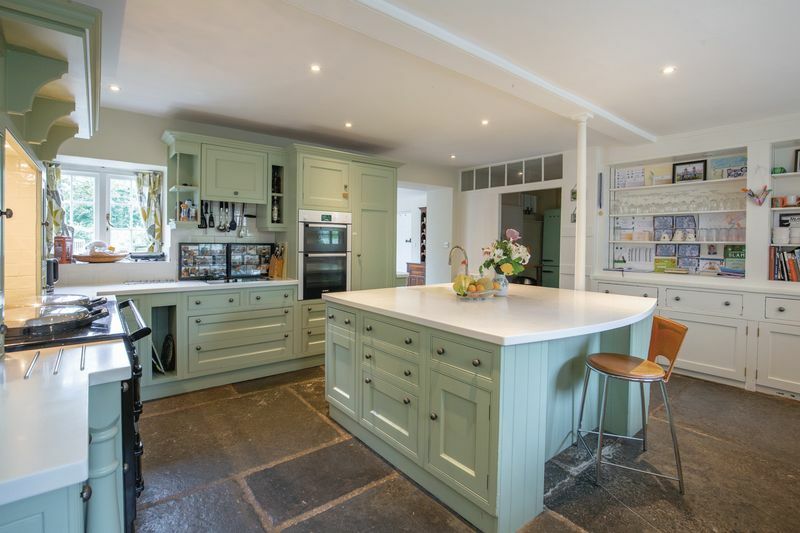 At the heart of the house is the kitchen, complete with handmade units, modern specialist worktops, aga, island, built in shelves, and recessed lighting – magnificent original flagstones adorn the floor. At the back of the kitchen is a good sized pantry and another room that currently houses a snooker table! 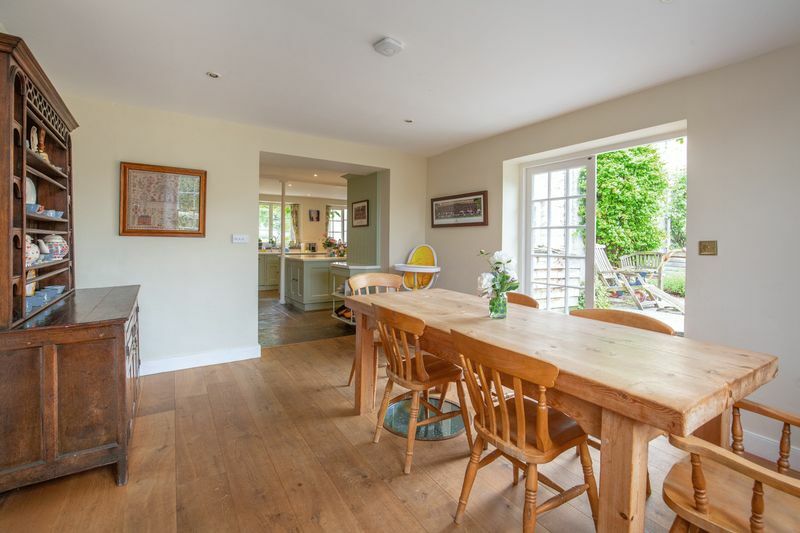 The breakfast room is light and airy and double doors lead out on to a charming terrace, ideal for a morning coffee in the sunshine. A further utility and boot room lie at the back of the house. 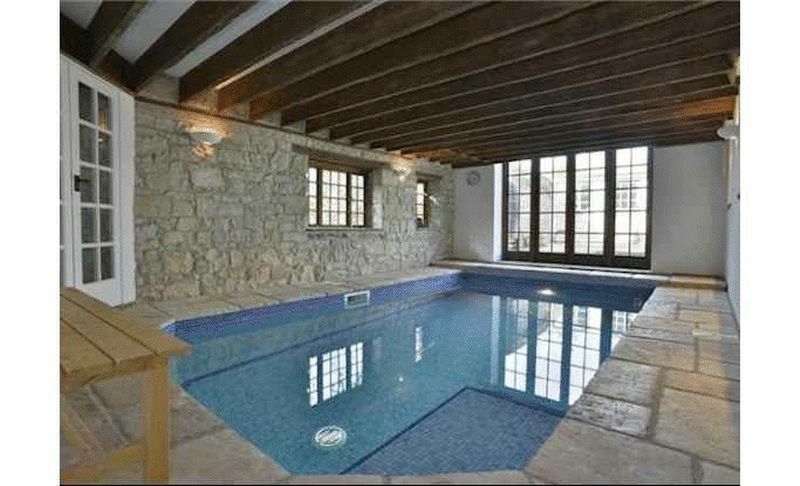 Linked to the house and still on the ground floor are further facilities that include an indoor pool (with a built in wave machine) a changing room and a studio office with flagstone floor and doors leading to the gardens. 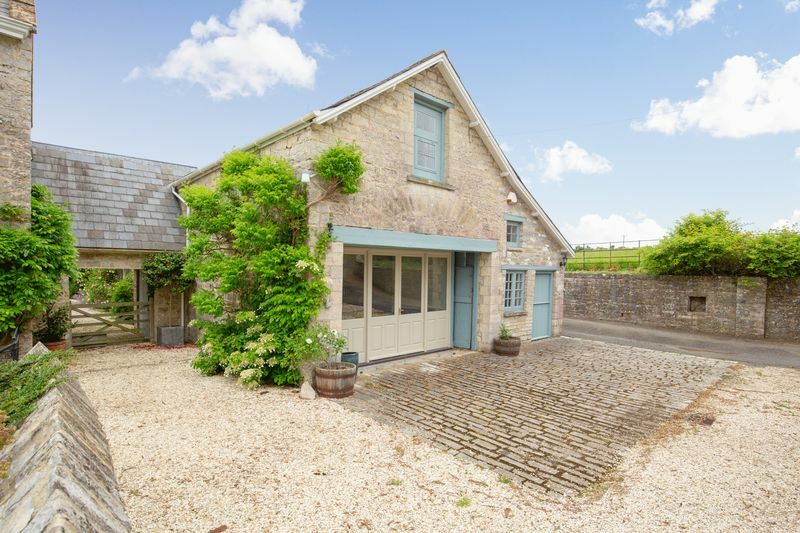 A wine cellar can be accessed from the inner hall down some stone steps and a further workshop and covered garaging facilities are accessible from outside. On the first floor are the master bedroom suite, four further bedrooms (one with en suite bathroom), an additional bedroom and bathroom suite, a family bathroom, an office and a gym. 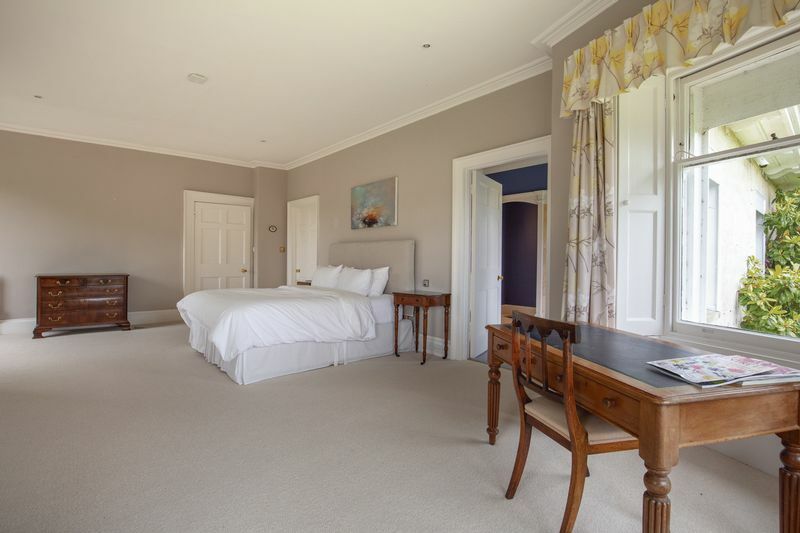 The master bedroom is palatial with integrated wardrobes and beautiful views of the gardens below – off the bedroom is an equally palatial en suite bathroom (with walk in shower and heated towel rails) and a dressing room, again with fitted wardrobes. 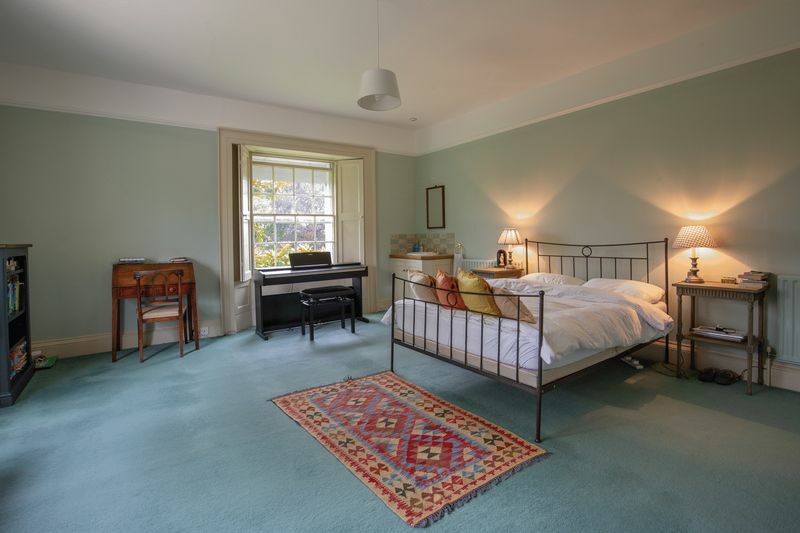 The other bedrooms are beautifully proportioned with wonderful shuttered picture windows and magical views. 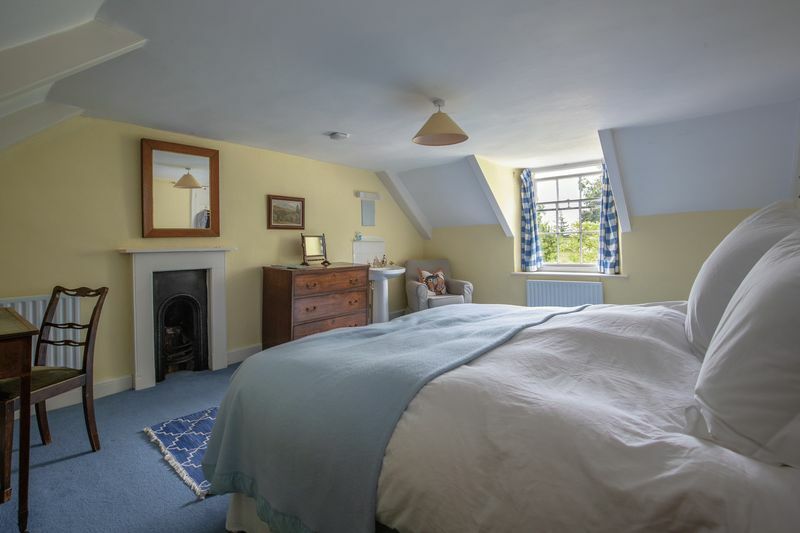 The second bedroom suite is set in the eaves and acts as a mini “self contained flat” - the bedroom has a really beautiful Georgian fireplace and the bathroom is particularly charming with a stand alone “claw foot” bath in the middle of the room! 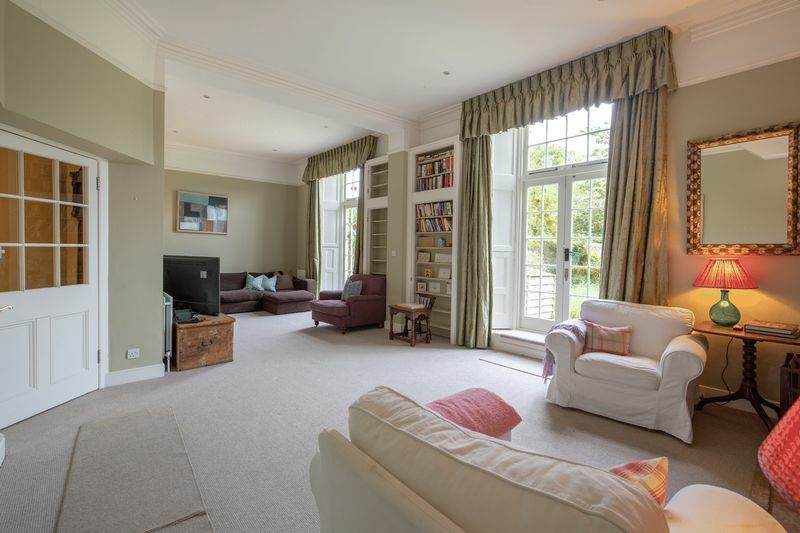 For the younger generation, a suite of playrooms run along the top of the house culminating in a games room and a music room that both feature beams rising to the apex of the eaves in the ceiling. On the second floor there are two further bedrooms. The grounds and gardens are simply magnificent. 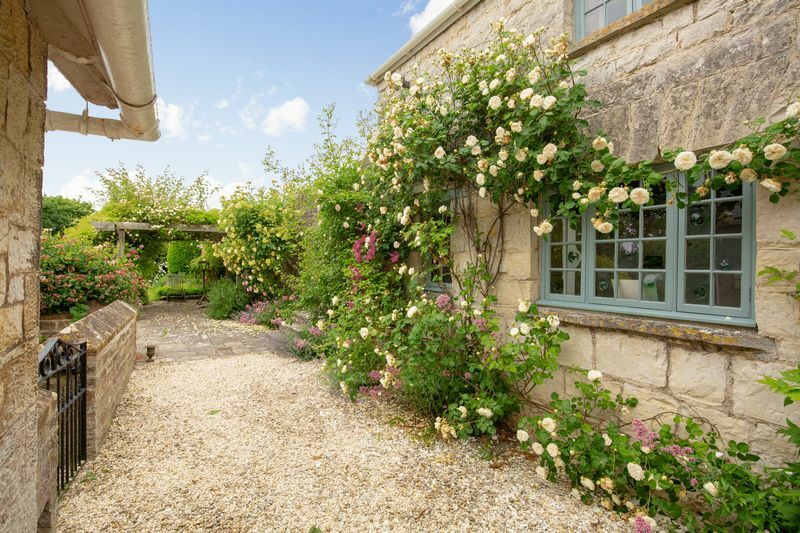 The views across the surrounding countryside and towards the village church are idyllic. 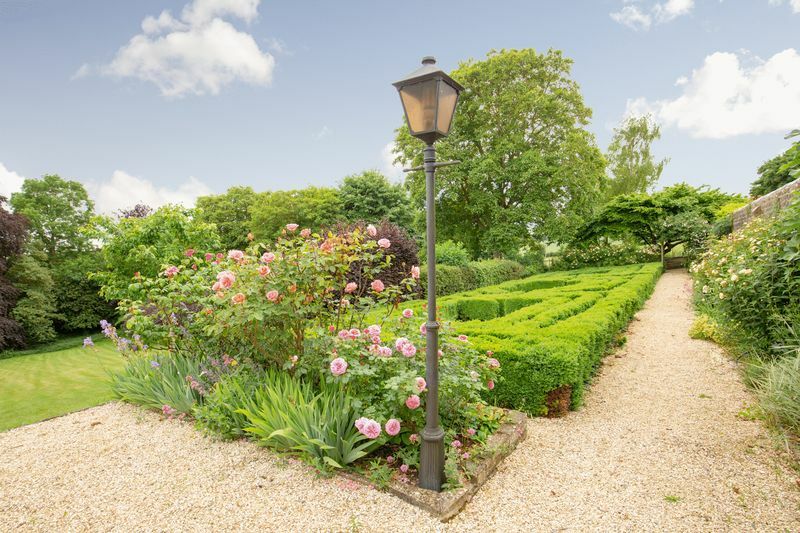 In the garden itself, well manicured lawns sweep away to the west of the house and down to a boundary made up of mature trees and shrubs; A fabulous Victorian walled garden overlooks the house from the South East and another really pretty walled garden with a beautiful terrace lies to the North; A paddock offers the perfect home for a horse whilst a quintessentially english orchard provides fruit in abundance. Wisteria trails gently along the facade of the house that overlooks the courtyard. A scenic walkway through the trees reveals an adventure playground to the right and a vegetable garden with raised beds to the left. 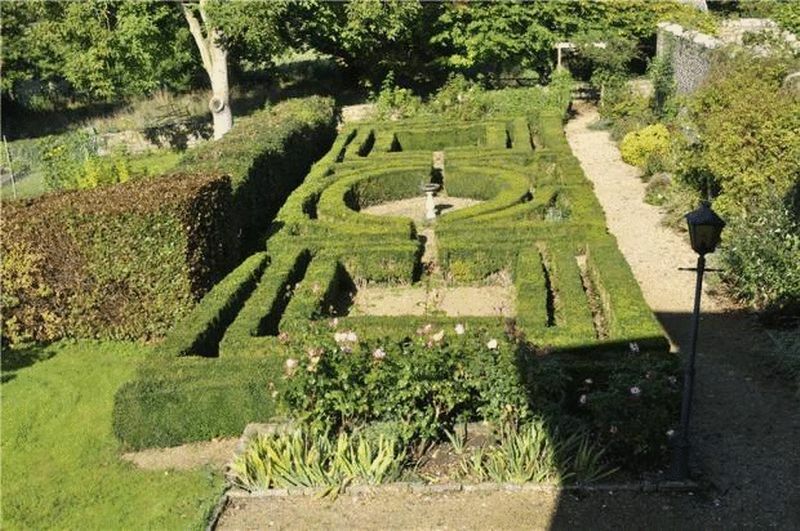 A tennis court lies further on and there is even a small maze! Throughout the gardens, dozens of majestic mature trees enrich the landscape. To the north, are an array of farm buildings and sheds that would be ideally suited for a variety of commercial uses. Other outbuildings house an eco friendly heating system for the house and solar panels generate additional electricity. 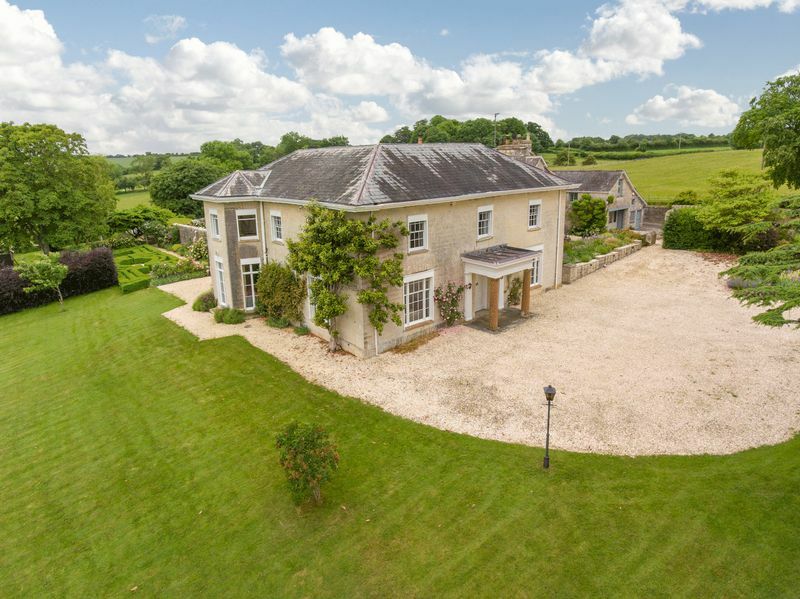 Pitney house is situated to the west of the village and is entirely surrounded by its own land. 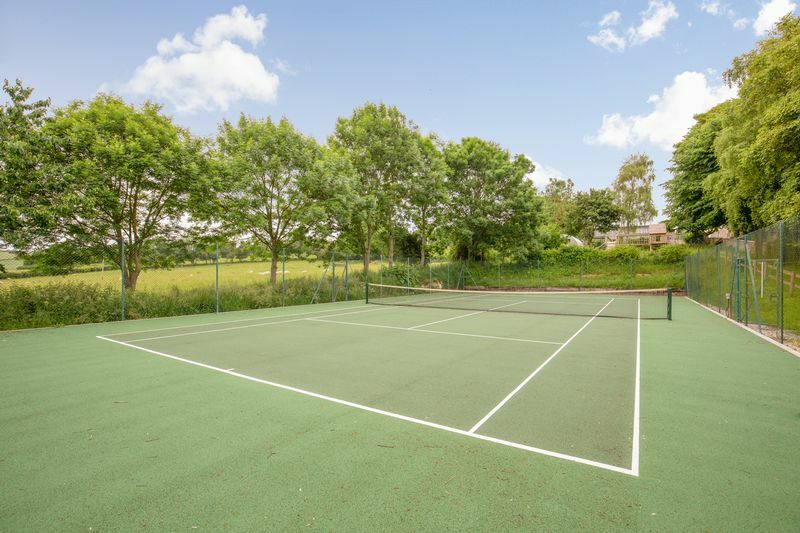 It occupies an elevated position close to the church and within walking distance to the the village hall, a farm shop and the local Halfway house pub. 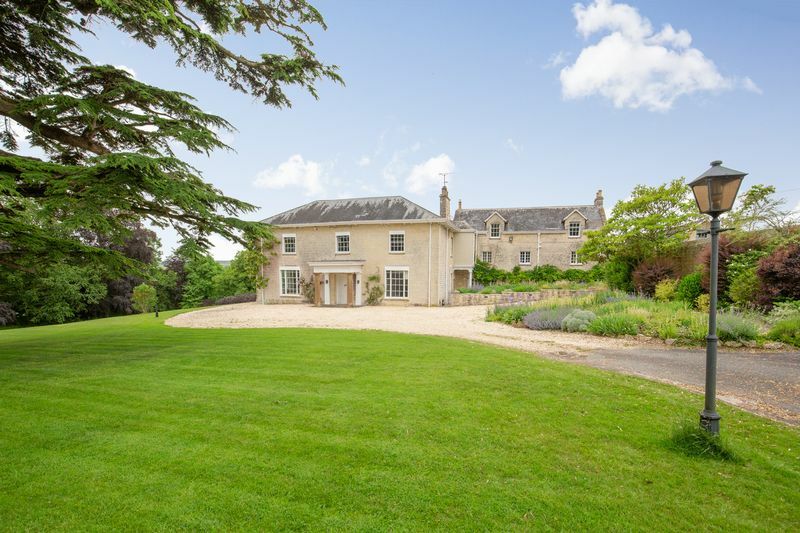 Transport links are good with a 15 minute drive to the A303 and only 13 miles from Castle Cary railway station with direct links to London and the South West. A good choice of local shops can be found in the market towns of Langport and Somerton and Clarks Village is not far away in Street. Bath and Bristol are just over an hours drive away. 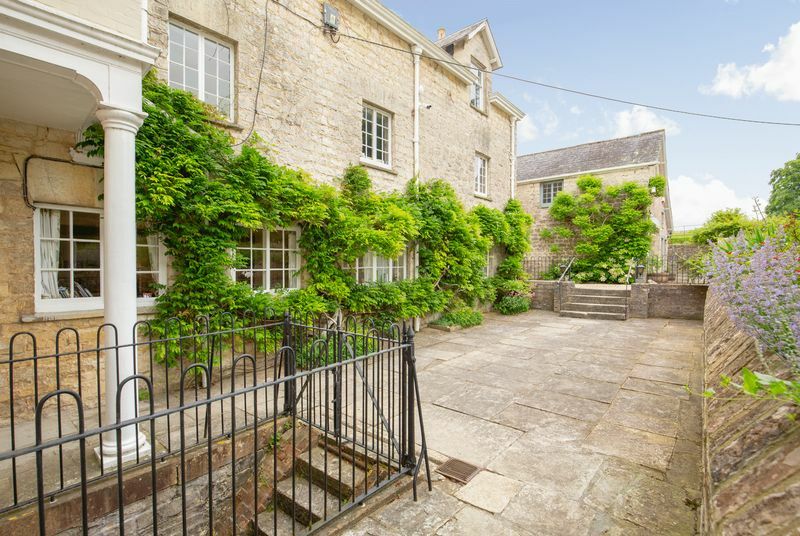 Local primary schools can be found in Huish Episcopi, Charlton Mackrell and Curry Rivel and there is a good choice of independent schools including Millfield, Taunton Prep, Hazelgrove and the Sherborne schools. 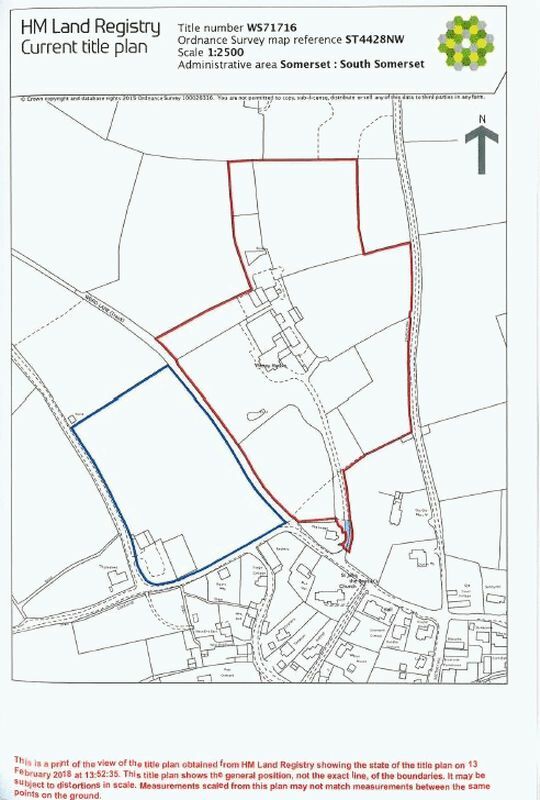 From Somerton, take the B3153 towards Langport. Just before the Halfway house, turn right onto Hermitage Hill and proceed into the village of Pitney. Go through the village for about a third of a mile until you reach the church on the left hand side. The drive to Pitney House is on your right.